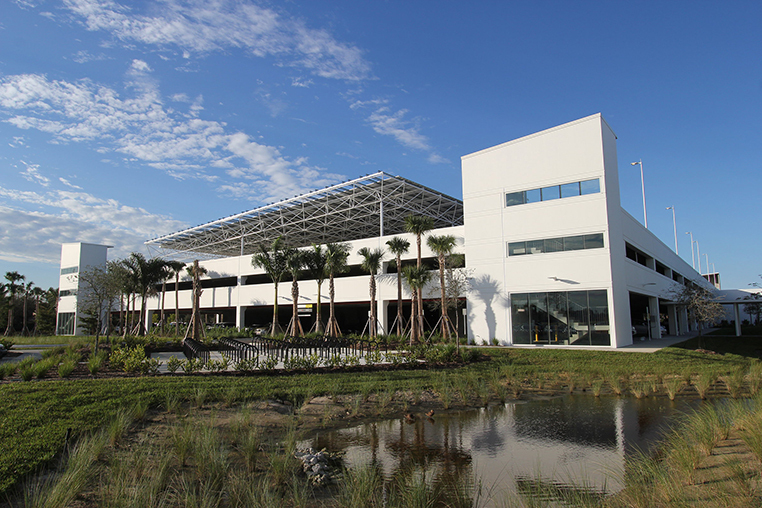 When The Hertz Corporation, an international leader in automobile rentals, relocated its global headquarters to Florida, it sought to achieve LEED Gold certification by using best practices in sustainable design and construction. 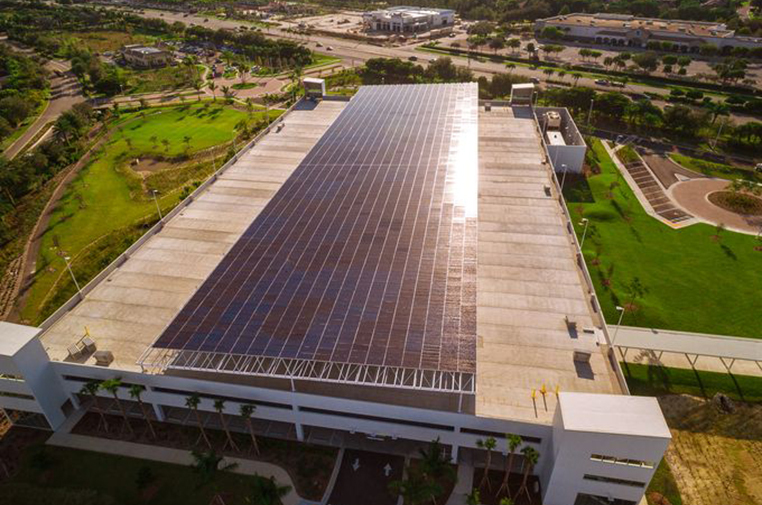 A key component was the installation of 2,300 solar panels on the top of the campus’ parking garage. 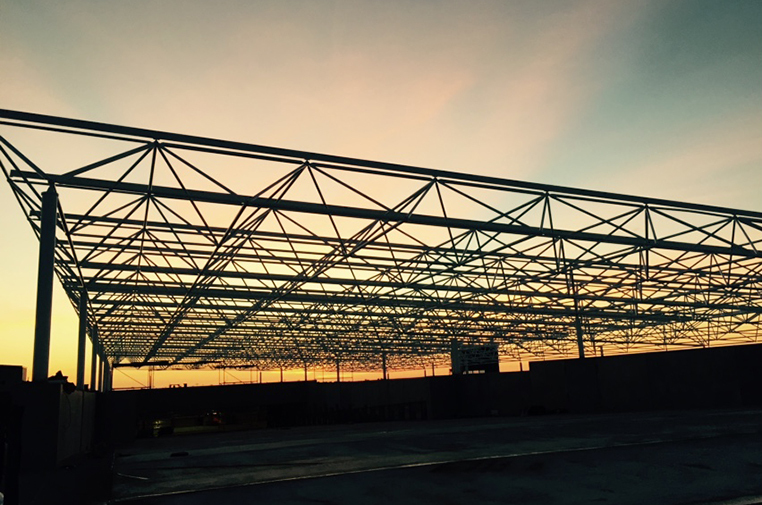 To achieve maximum efficiency, a space frame structure was used to support the vast solar array on the roof of the three-story garage structure. The light weight and stability of the space frame designed and built by DSI Spaceframes made it the optimum choice. 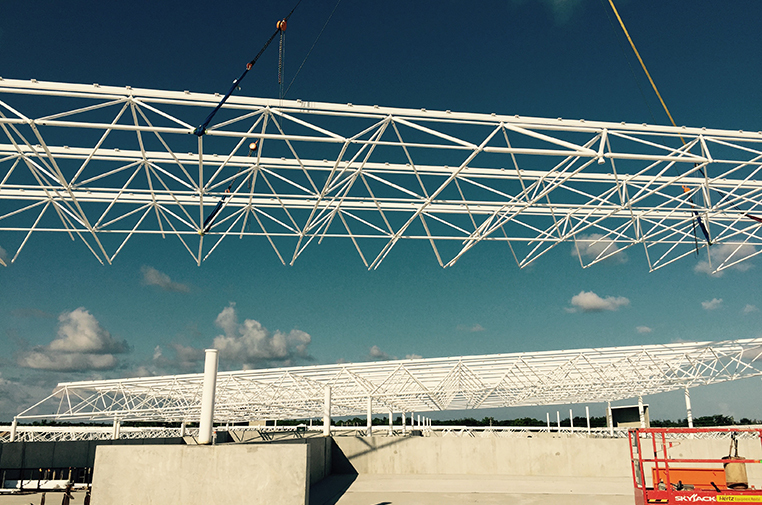 Space frame structures are designed to withstand hurricane winds and can endure the harsh and corrosive Florida climate. Not only does the solar array’s space frame construction support Hertz’s goal of sustainable design, it is practical over the long term. Once installed, space frames require little or no maintenance.